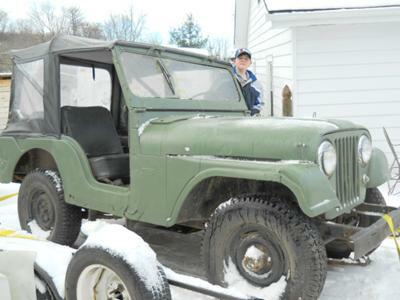 Well, it looks like Spring is just around the corner, and it is time to start getting our Jeeps ready for some fine top down, doors off, warm weather cruising off road and on. Just 2 weeks ago the temps here in North Central Texas were at record lows of just above zero (Fahrenheit)...and today it was nearly 80 degrees. Go figure! 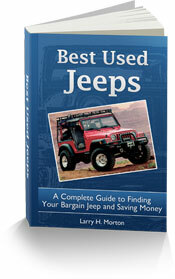 which specific Jeep you have...such as a Wrangler will usually require a different type of jack than a Liberty, Patriot or Compass. how you plan to use your Jeep...such as off road vs. on pavement. 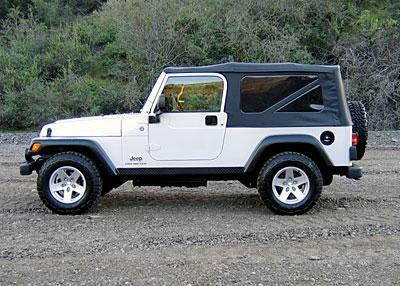 how much lift (suspension, body and tall tires) you may have on your Jeep beyond the factory ground clearance. This type of jack presents the greatest limitation in the actual height it can lift a vehicle. Often times the scissor style jack alone will not lift the Jeep's tire off the ground enough to change a flat...especially in rough terrain or with a lifted rig. I personally carry several short flat pieces of lumber including 2x4, 1x6 and 4x4 sizes to stack up under the jack to increase its lifting capacity. 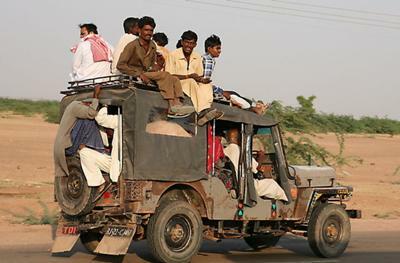 Just make sure that the stack is steady and stable before operating the jack...and never trust any jack (alone) enough to crawl under a suspended vehicle. Floor jacks and bottle jacks work well on flat concrete surfaces, but are usually bulky and heavy...and best used in the comfort of your garage. That brings us to the jack often referred to as the "Hi-Lift" jack, which by the way is a brand name for this type of jack, even though other jacks (brands) are mistakenly referred to by this name. This style of jack is not new. It has been around almost as long as the automobile. Originally called a "bumper jack" used on cars, the heavy duty versions were called "farm jacks" obviously used with farm equipment. Click for some samples of Hi-Lift jacks and other similar style jacks and accessories. 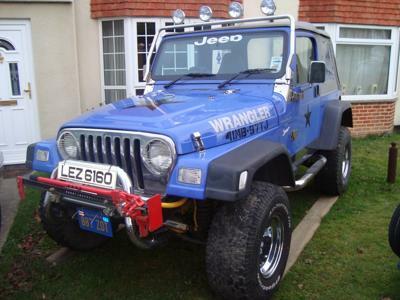 Although the Hi-Lift or Farm Jack can also be bulky and heavy, Jeep owners and some manufacturers have come up with creative ways to mount these jacks on Jeeps. 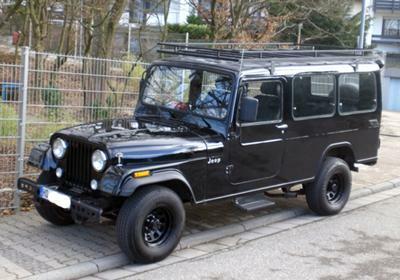 So, what is the best jack for Jeeps? The answer is...whichever type of jack that can get the job done with the least amount of hassle, is well constructed and most of all safe. 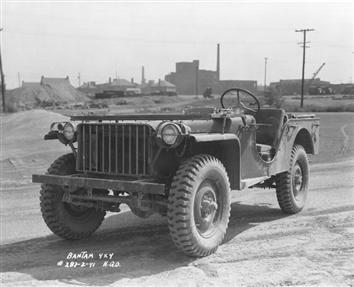 Jeep Trivia: In 1939, the U.S. military invited 135 companies to submit designs for a universal military vehicle. 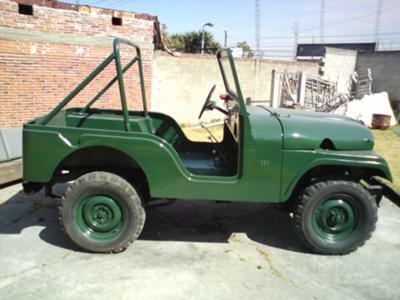 Only Ford, Willys-Overland, and American Bantam did. So until next time take note, if while driving your Jeep the blood is suddenly rushing to your head...something did not go well!